Construction of the paramount third floor, 38” thick transfer slab of VistaBlue Singer Island will be completed this week. 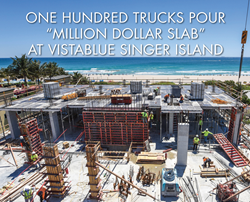 The “million dollar slab” which makes up the amenities level and pool deck, involves over 100 trucks choreographed to deliver in unbroken sequence 4,000 cubic yards of concrete. 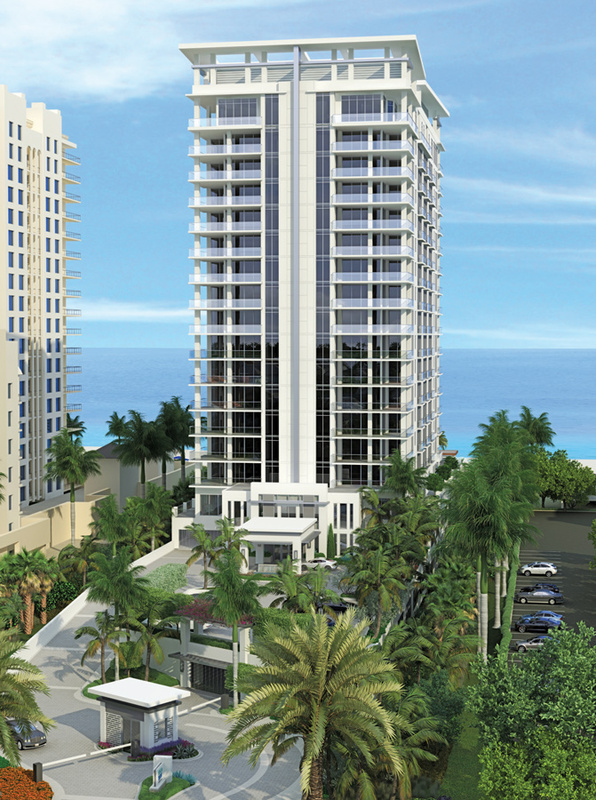 When completed in the fall of 2017, VistaBlue Singer Island will be the oceanfront’s first “luxury boutique” condominium with only 58 residences on the 3.2 acre site located on 153 feet of wide Atlantic beach and dunes on Singer Island, Florida. Previously, crews drove 600 auger cast piles 50 feet deep into the rock beneath the oceanfront site and poured the pile caps which serves as the 19-story building’s foundation. When completed in the fall of 2017, VistaBlue - Singer Island will be the oceanfront’s first “luxury boutique” condominium with only 58 residences on the 3.2 acre site located on 153 feet of wide Atlantic beach and dunes. 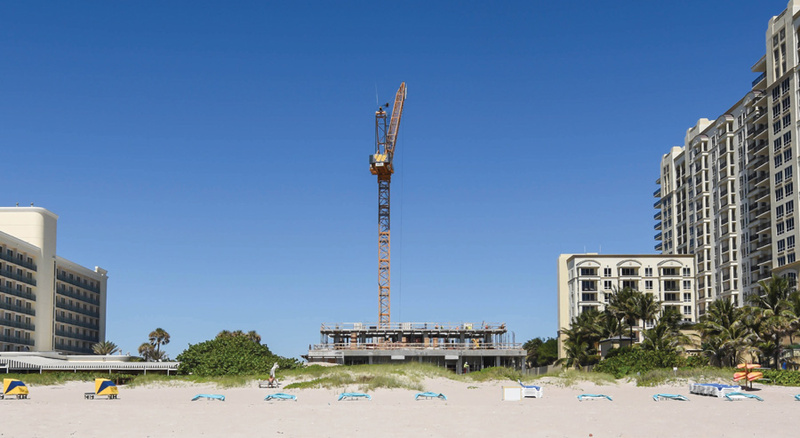 The project represents the first new oceanfront construction on the resort island located north of Palm Beach to be built in the past eight years, and one of the island’s last remaining beachfront locations. The low number of planned residences will create a private, “penthouse lifestyle” for the VistaBlue Singer Island owners. The building’s amenities level will offer a stunning, open and bright lobby and social spaces designed by the award-winning firm Interiors by Steven G. These sun-filled areas created for relaxing or entertaining guest are focused outward toward a pool terrace elevated two stories above the sands. The terrace will offer an outdoor bar, cabanas, fire pits, and formally landscaped gardens. Residents and their guests will be pampered with 24/7 concierge services, and a 24/7 manned gated entry and a state-of-the-art health and fitness complex overlooking the Atlantic Ocean sunrise. Buyers will enjoy the opportunity to create a world-class interior design with the services of Interiors by Steven G.
Developer, Riviera Beach Investors LLC, plans to complete the building in late 2017. 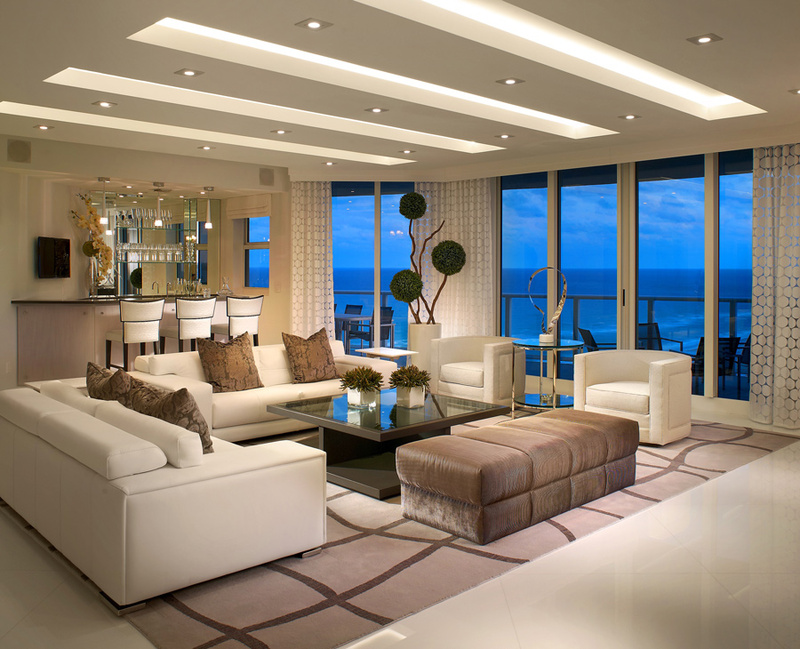 Riviera Beach Investors LLC is a member of the Third Palm Capital group of companies—which owns luxury projects in Orlando, Newport Beach and Manhattan in addition to this Riviera Beach based project. A sales gallery with a modern Miele and Poggenpohl equipped kitchen is open at 2655 North Ocean Drive, Suite 501 on Singer Island.